Bugs invade your homes for a couple of reasons, but the main reason is to look for food, water, and shelter. The only way to get rid them is trying to get rid of these three things. In most cases, bugs will be found on carpets and furniture, so you have to clean them up if you need to get rid of these annoying scavengers. An ideal option would be to call a professional cleaning expert, but I have few cleaning tips that will come in handy if you decide to do it yourself. You need to identify the culprit you are dealing with in the first place. Different bugs’ needs different treatment plans. Do not mistakenly assume that you have carpet beetles while in fact you have bed bugs. Carpet beetles can seriously cause monetary damage not only to your carpet but also to other fabrics, upholstery, and food. These may require intense treatments like using insecticides on a regular basis. The best way to prevent bug invasion is to eliminate all other hiding spots such as indoor clutters. Things that are outside the house should be kept a little further, such as plants growing close you your home. Clean and wash all outdoor trash bins and check for places where carpet bugs can get food and get rid of them. Housekeeping is also imperative when it comes to preventing bug invasion. You may need to purchase a prevention spray depending on the type of bug you are dealing with. The key word here is regularly. Bugs invade carpets that are not vacuumed on a regular basis. Regular cleaning goes a long way towards keeping bugs at bay. It helps remove eggs and larvae from the carpet before they have an opportunity to hatch. Some bugs may not eat items like synthetic or cotton fabric, but if you store garments made of materials like wool, then there are chances that bugs will have a good hiding place on these garments, so you may also need to do regular laundry on those as well. Boric acid may come in handy to battling bugs invading your carpet or your furniture. Boric acid helps kill all the living larvae on the carpet as well as preventing the new ones from infesting. The acid is not harmful to human, and you can actually get it at your local pest control store or pharmacy. There are some numerous products that can also be used to deter carpet bugs, but always know the pros and the cons before making a choice. do a thorough inspection and search for other hiding places. If the bug invasion is severe, you need to call a reliable professional pest control company right away, but for a minor attack, these few easy tips should work. 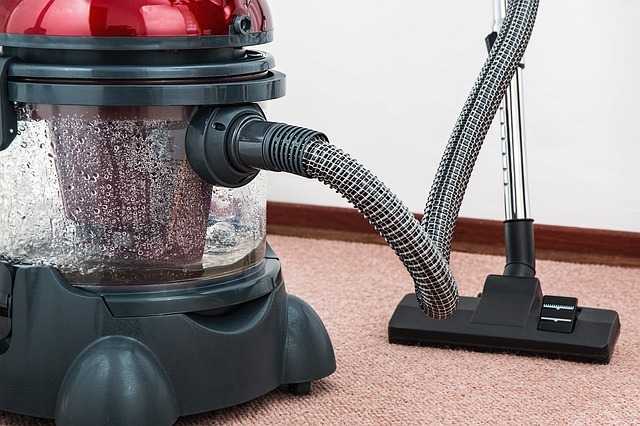 Remember that prevention is the most efficient way to avoid issues with bugs, so make sure you vacuum regularly and keep your environment clean at all times.